- How long do you think we have until the return of the Lord Jesus Christ? Do you believe there are still things that need to happen before it can happen, or do you believe it could take place at any time? - For those who believe it could take place at any time, there are spiritual dangers inherent in teaching this. Satan wants to embarrass and humiliate Christians, so he tries to get them to put their trust in false predictions about Christ's return. 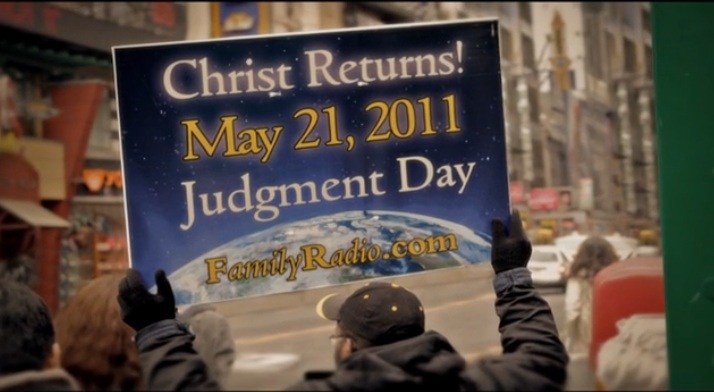 I know of two people right now who are setting dates for Christ's return. They both have their own websites, and both have a presence on the Christian forums. - And these are only small time. Every 3-5 years some major theory gets presented that gains international attention, and many get swept up in it thinking the return of the Lord or the rapture of the church or the beginning of the Tribulation is indeed upon us. - But there is a problem with telling people He could return at any time: If He could return at any time, what's to dissuade others from believing that He might be returning at the time a date setter is giving for it, considering the person is presenting a convincing case for that particular day, and with supposed scriptural proof for it? - And don't underestimate the damage Satan can do to people's lives through deceptions like this. Some end up suffering more than just humiliation and embarrassment. - I will cover some of the major delusions of the 21st century here in just a second, but in some instances people have even sold their houses or donated their life savings to ministries that were advertising the return of the Lord on a particular date, and ended up completely disillusioned in their faith as a result. - How do you face friends and family knowing that you lost everything buying into a lie? It leaves some people asking, "Why did God allow this to happen to me?" - Well the truth is, the Lord doesn't allow it to happen to believers. Believers allow it to happen to themselves because they don't give proper time to studying God's word on it to be truly educated on the matter. - Both Paul and the Lord Jesus Himself taught that there were signs believers needed to watch for, and until those signs came to pass they had no reason to be concerned that the Day of the Lord had come. - This was the protection God gave us against being deceived by the enemy in regard to Christ's return, and it is what I am going to be covering in this study. 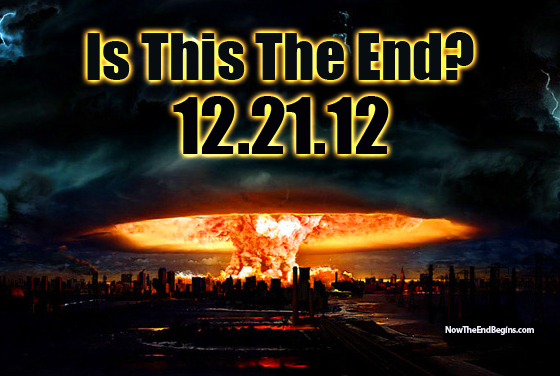 - Let me cover briefly some of the major apocalyptic predictions of the 21st century. - This was probably a deliberate hoax on the part of Time Magazine just to sell copies, but it worked like a charm because the article just scared the living daylights out of people. 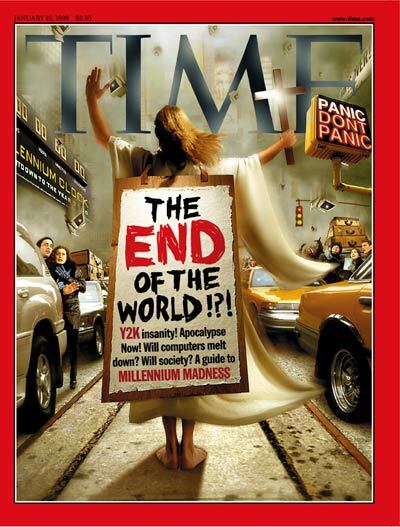 - Time published an issue in January of 1999 with... (Describe the cover art: Man wearing billboard sign, holding cross). - According to the article, supposedly the computers wouldn't be able to handle the turn of the century because programmers hadn't accounted for it, the world's economies were going to crash, and within weeks the planet would devolve into mob rule with rioting the streets, and an ushering in of the entire apocalyptic scenario. - This scare gained international attention and people across the globe took it seriously. Billions on dollars were spent worldwide to try and prepare for it. New York city alone spent over 400 million dollars to prevent the computer bug from bringing about a collapse of its computer systems. - But then nothing happened. - So few malfunctions actually happened that newspapers took to posting cartoons in the following days making fun of it, saying, "7 ATMs shut down, some people's library cards wouldn't scan, and one guy's automatic toilet wouldn't stop flushing." - So it all ended up as a big joke for the world, but it was not a joke for the Christian ministries that ran with it, and ended up bearing the shame of supposedly being authorities on Biblical prophecy yet telling national audiences that they needed to be prepared for the worst and that this could signal in the start of the tribulation period. - Then we fast forward 10 years later, and we come to Harold Camping. 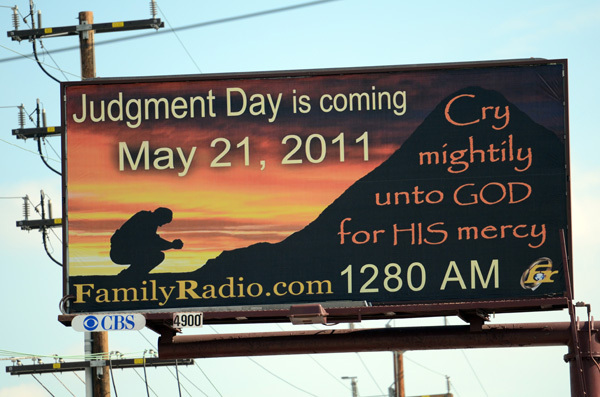 - Harold Camping was a radio host who gained control over a radio station called Family Radio. When other controlling members of the station passed away, he had them replaced with hand-picked yes-men types, and eventually began making predictions regarding the rapture of the church. - His first prediction was for 1994, and when that one didn't come to pass he went back to teaching normal Christian doctrine and things settled back down. But in 2003 he again predicted the return of the Lord and the rapture of the church. - According to Camping, Noah's flood supposedly took place in 4990 B.C., thereby placing it two millennium earlier than most credible Bible chronologers did. Harold then found a verse in Genesis, Chapter 7 where God promised to send rain on the earth in seven years, applied the principle that "A day with the Lord is as a thousand years," and concluded therefore that the Lord Jesus Christ was going to be returning on May 21st, 2011. - Despite being a pure fabrication, many got swept up in it anyway, and by the time 2011 was rolling around over 100 million dollars had been sent in as donations to help get the word out through advertising that the rapture of the church was at hand. 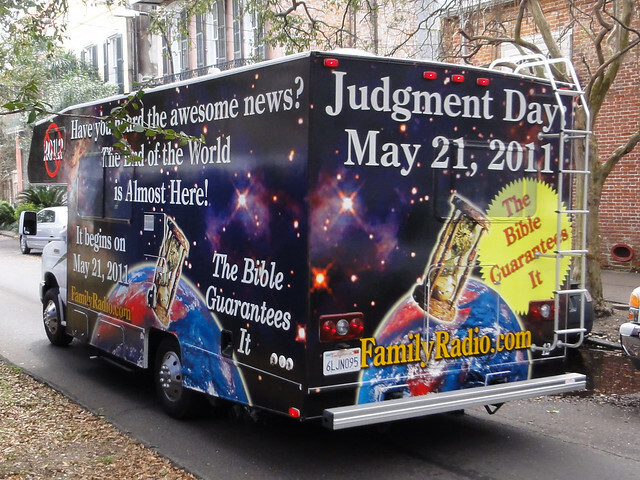 The ministry bought vans and buses and painted them with advertisements, and toured the country warning everyone to prepare for Christ's return. - This one was tragic because many sold their homes and donated their life savings to advertise for this thing. While it many be funny to some, these things are no laughing matter to friends and loved ones who see someone they cared for lose everything to a religious delusion. - When May 21st came and went, Harold tried to regroup by telling people that it would actually come six months later in October, and when that failed the radio station's support started dwindling quickly. By 2013 Harold had passed on to whatever reward was awaiting him. - But those who were closest to him should have warned others, because there was something a creepy about Harold Camping to begin with. 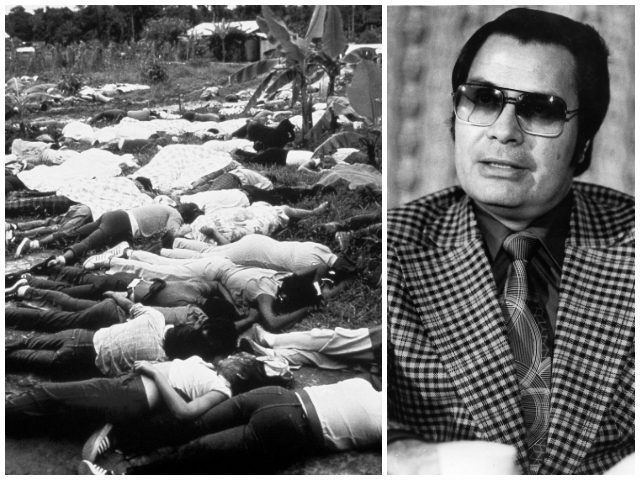 He was supposedly enamored with Jim Jones, the notorious cult leader who led 300 of his followers to commit suicide by drinking cyanide-laced Kool Aid in Jonestown. Camping actually had equipment that had been used in the People's Temple, and he used to show it off to people. He would also laugh if donators asked to get their money back. - A year or so later, the whole Mayan Calendar scare gained national attention. It was based on a few lines of extremely obscure prophecy found in some Mayan inscriptions, that read there would come a display of Bʼolon-Yokte', the Mayan god of war and the Underworld, "in a great investiture." Well, that could have meant anything. 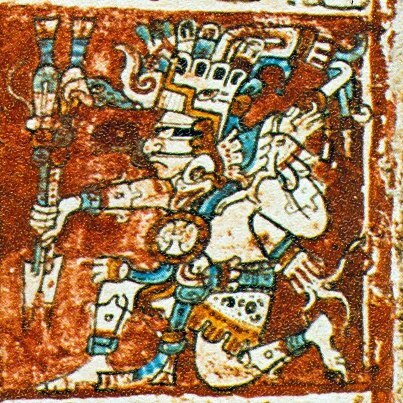 It could have simply meant that he would parade himself around in an elaborate costume, since this was usually how the Mayans depicted their gods behaving anyway. But this didn't stop various groups from interpreting the expression any way they wanted to. - The New Agers said the prophecy predicted the coming of a great spiritual awakening on earth. Of course, the New Agers always predict that various events will signal the coming of a great spiritual awakening on earth. But Hollywood decided to go the opposite direction and portray how the Mayan god of the Underworld was going to kill us all. 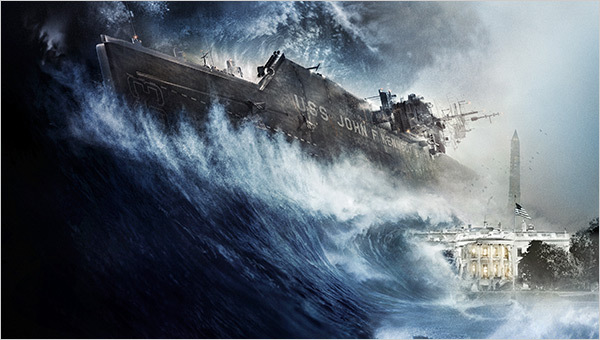 So in late 2012 a major motion picture was released depicting scenes of apocalyptic destruction as natural disasters swept across the earth and brought about the end of mankind. - The numbers in this date were even made to have mystical significance, but despite all the hype once again nothing happened. Life went on as usual. - Then in 2017, two men named William Tapley and Scott Clarke began posting videos on Youtube claiming that the tribulation would come on September 23rd of 2017. 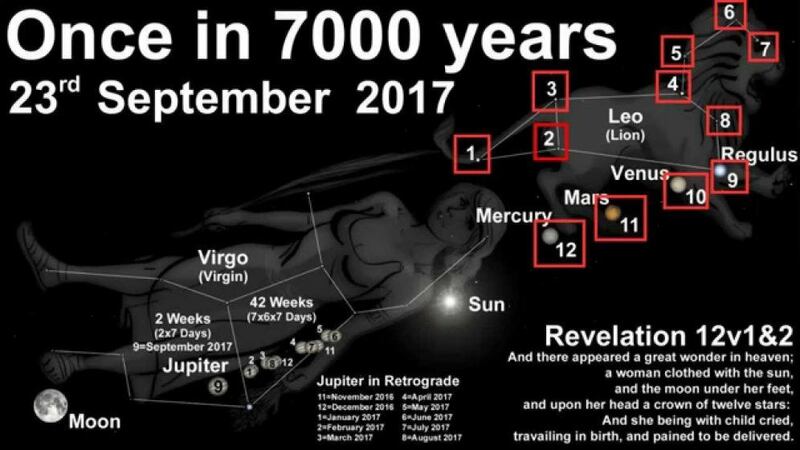 Supposedly 12 stars that would align themselves over the constellation of Virgo and this would fulfill a prophecy found in Revelations, Chapter 12, where it talked about the woman with 12 stars over her head being attacked by the dragon. Unfortunately for those Christians who bought this fabrication, once again nothing happened, and life went on as usual, leaving those who took their predictions seriously to try and save face after getting worked up over nothing. - These delusions are not just the products of human imagination. Humans have plenty of help when it comes to religious deception, and beneath Satan's desire to see believers become humiliated and embarrassed lies an even deeper motive: He ultimately wants to Discredit The Word Of God, by making a mockery out of the prophecies of scripture. - As we get deeper into the end-times, it will become increasingly apparent to those willing to look into what the word of God actually says that Biblical prophecy is coming to pass. To circumvent many coming to faith in Christ because of it, Satan is going to increasingly desensitize people to this by presenting more and more end-time delusions to the public, so that many just sit back and say, "I've seen people predict Christ's return and nothing happened." - Peter prophesied that a time will come when they deride those who believe in Christian prophesy, and mockingly ask, "Where is the promise of His coming?" - Just as he did in the garden of Eden, he is essentially getting people to question "Has God said?" He said to Eve "Has God said you shall surely die?," and by planting doubt in her mind about the word of God it ultimately led to her destruction. - The truth of what God has said in His word will be proven out, but the key to surviving delusions like these unscathed is in knowing God's prophetic timeline, so to avoid being deceived by such things. - What was going on here? One tactic Satan often uses is to reinterpret what Christians believe. He doesn't attack their beliefs directly. He inserts lies into the mix in order to deceive them through what they already believe. - The same thing was happening with the Thessalonians. In his first letter to them, Paul told them that Christ's return was coming so they would not grieve over the deaths of loved ones they were losing to persecution. They would be reunited with them again soon, because Christ's return was coming. - Now roughly a year later there were threats of people convincing them that His return was not only coming but had already arrived. - So what did Paul advise the Thessalonians to do in this situation 2,000 years ago? - The key is in understanding what he meant when he asked them, "Do you not remember that when I was with you I was telling you these things?" - Jesus mentioned several things here. First there would come wars and great natural disasters, then a great apostasy would take place, when the nations turned on believers and persecuted them to their deaths. Eventually the Antichrist would arise and set up the abomination that causes desolation, after which the Jews in Jerusalem would flee for their lives, knowing the great tribulation was about to begin. Finally the return of the Lord and the rapture of the church would take place. - But when he talked about a time when many believers would deliver one another up, Jesus was referring to the same thing Paul was talking about when he told the Thessalonians there must first come an apostasy from the faith. - The apostasia is not "the departure," as many Pre-tribulationists want to interpret it. It meant literally "the apostasy," as we still use the term today. - This word was used of those who apostatized from political or religious groups. ἀποστασία, ας, ἡ = Desertion from a particular political or religious body. In the Bible namely, from the true religion. - An "apostates" was a political deserter. - In the only other New Testament use, some accused Paul of "apostasy from Moses." - This word apostasia is also sometimes translated as "falling away," and is applied to a phenomenon we see happening today among many Christians. The statistics say that 90% of Christian youth who are being raised in the public schools are departing from the faith once they're out of the house and on their own, and if these trends hold America is going to increasingly go in the same direction Europe went, where churches are now being converted over into markets and mosques, and Christians are very much in the minority. - But this is not what's being referred to here by the word "apostasy." Paul was referring specifically to a time when great masses of Christians will betray the Lord to save their own lives specifically as a result of intense persecution; the most intense persecution in the church's history. - Jesus described it as a time when many would be "scandalized," which is a literal translation of the Greek there. A scandalon was the snare for a trap, and becoming trapped in a compromised situation is what the Lord was referring to. When they were taking Jesus to be interrogated and crucified, Peter sought to deny he was the Lord's disciple, but there was evidence against him. Someone said, "But your accent is Galilean," which is where Jesus was from, so Peter was essentially caught in a scandal. So, too, will many in the end-times try to distance themselves from Christ and profess they are not Christians, but they will have evidence against them that they are by association, which will force them to betray other believers and deliver them up to their deaths in order to save their own lives. - Do we see this kind of apostasy taking place yet? The simple answer is: No, we do not. - Certainly there is Christian persecution - even severe persecution - in many regions of the world today, such as in nations like N. Korea, or the Muslim countries of the Middle East, like in Afghanistan, Pakistan, Sudan, Syria, Iran, Iraq, Yemen, Nigeria, Saudi Arabia, and Somalia. But the persecution referred to by Paul here will be so severe it causes a mass exodus from the faith, and it is something still set to be fulfilled in the future, as the time of the Antichrist draws nearer. - Thus, when you know what exactly you are looking for, it becomes easy to tell that we still have a ways to go before Christians are hated by ALL the nations of the earth, and persecuted so severely that multitudes betray the Lord and deliver each other up to their deaths. - Both Paul and the Lord Jesus Christ also made reference to the Antichrist coming first. Paul referred to him as "the lawless one" who would take his seat in the temple, and Jesus referred to him as he who would set up "the abomination that causes desolation" in the temple. This was a reference to the statue the Antichrist would erect thereafter as a permanent reminder to the Jews that he was essentially their god now. - But we know from other Biblical prophecies that in order for the Antichrist to arise, there will have to be an empire already established in the earth that he can assume power over. 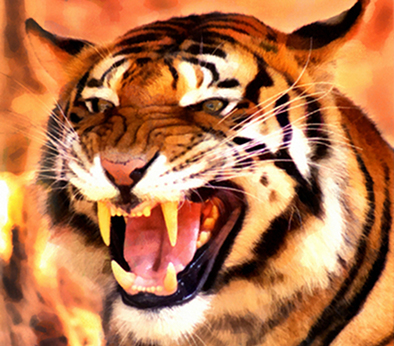 - Some say this "Beast" will be an amalgamation of church & state, wielding mere political power over people. NO. This will be an empire characterized by military conquest unlike anything the world has ever seen before. - When it says "Its teeth were of iron and its claws of brass, devouring [its victims]," it's victims here are the nations this empire will conquer. Teeth, claws and horns are the means by which the beasts of the earth kill and destroy one another, and these being made of iron and brass suggests that the weapons of war this empire uses will be exceedingly strong, and able to do great damage on earth. - That the empire will utterly break these nations to pieces, and "trample the remainder with its feet" means nothing will be left. The nations it conquers will be completely subsumed and assimilated into the empire as conquered territory. - But the suggestion that the arrival of the Antichrist is still a ways off yet can be seen in the words, "and there were ten horns in its head, and another came up that rooted up three the former." This means that when he emerges he will usurp the rule of three of these kings that head up the empire, and that means that this empire will already have to be in place before he can arise to do so. 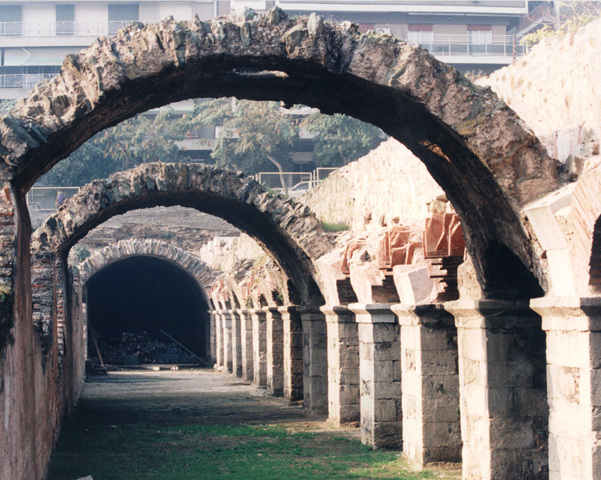 - As will be covered in later studies, Paul believed this empire was Rome, and that an emperor would soon arise to fulfill the Biblical narrative. - Did he have legitimate reasons to believe that Rome was the 4th Beast of Daniel, and that the return of Christ could be coming soon? Yes. The fourth beast of Daniel already appeared to be established in the earth. - But do we the same reasons to believe he could emerge at any time? No. There are numerous suggestions that this empire may eventually take shape among the Muslim nations of the Middle East, but if so this empire still has a long way to go. Thus, until we see an empire of military conquest unlike anything this world has seen before taking shape, we have no need to become concerned that the Day of the Lord has arrived yet. - More will be covered on this passage in later studies, but do we see these false prophets and false Christs operating in the earth who can call fire down from heaven, or levitate into the sky, or other such powerful false signs? No, we don't. And until we do we shouldn't be concerned that the Day of the Lord has come yet. Page created in 0.354 seconds with 41 queries.